It was 29 April 2013, the start of Screen Free Week Challenge, I was excited and all. A few friends mentioned that this is a difficult challenge as they can't pry themselves away from the electronic gadgets. Well, it is actually very simple. Being full time working parents and a schooling boy, we spend almost 12 hours away from each other. Its 10 hours of work & travelling time while 12 hours of school for DinoBoy; 6 hours in school and 6 hours in student care. We can't avoid screen time while at work because we need them to perform our work duties and responsibilities. What's left at the end of the day is only about 4 hours of family bonding time before its bed time. 4 screen free hours where we can do anything fun and great opportunity to bond further with each other. DinoPapa have to work late so its just only me and DinoBoy. I fetched him from student care and homeward bound we go. There was a big pot of soup left over from yesterday's dinner so I planned to stir fry a veggie today and that settles our dinner. 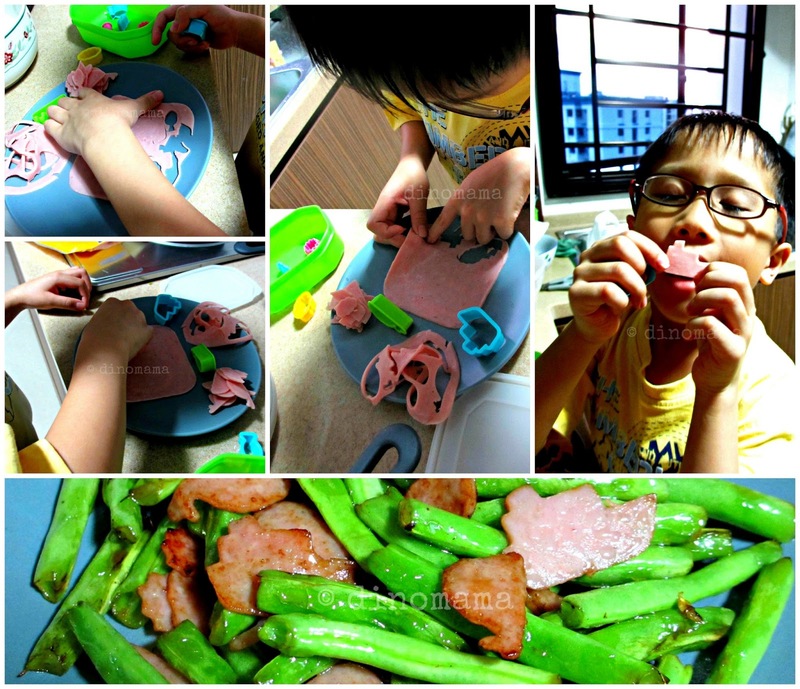 DinoBoy volunteered to cut out the picnic hams with some cute little cutters and while he waits for dinner, he enjoys a snack of the left over ham. By the time I am done with the rice & veggie,DinoPapa comes home and we had a great home cooked dinner together. 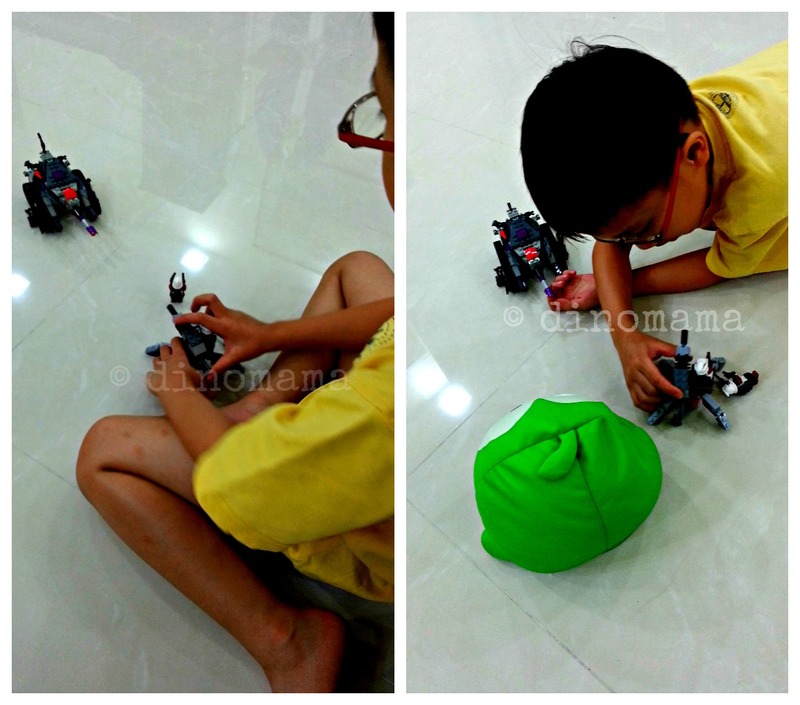 And while I am relaxing on the sofa after dinner, he play with his Transformer lego and added his favourite softie toy to the "war". Its a game of Ludo before heading off to bed for some reading time and bed! Ok... we failed today. I took leave as we have to go for DinoBoy's the eye check up appointment early in the morning. What I thought could be done within the hour or an hour and and a half the most drags for 3 hours! We were both tired (of waiting) and hungry by 1030am, we made a bee line to the cafeteria to settle our growling stomach. Then we headed off to meet up with some friends for a late lunch, planned to meet at Eat.Play.Love, they have an area where the kids and adults can enjoy some crafting time. It turned out that they are not open on Tuesday! At this point our mood is no good; hot day, tired bodies, drained energy, we were looking forward to having some craft fun and food but instead every thing crash down right in front of us. Thanks to the helpful security guard who pointed us to Artbite a little bit down the road, at least we get to enjoy the AC. There were nothing to entertain and I gave DinoBoy my phone as we are early and the friends are late. We did enjoy great food and company in the end, that's most important. 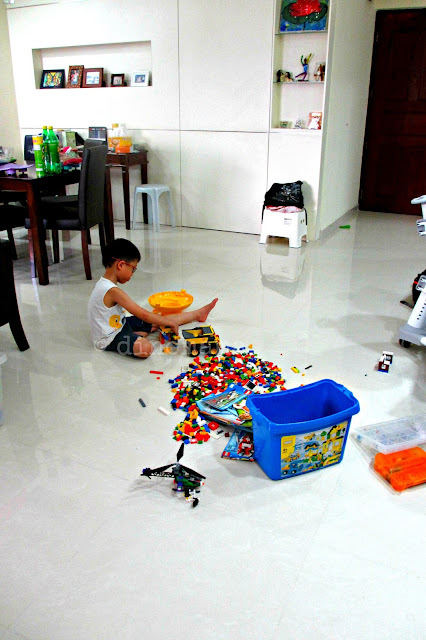 We headed home for some rest but instead of napping, DinoBoy took out some of his lego and started building stuffs... right in the middle of the living room walkway. He did managed to get Uncle S to join in the fun. Me? Lazing around while DinoPapa cook dinner. This was a planned cheat. 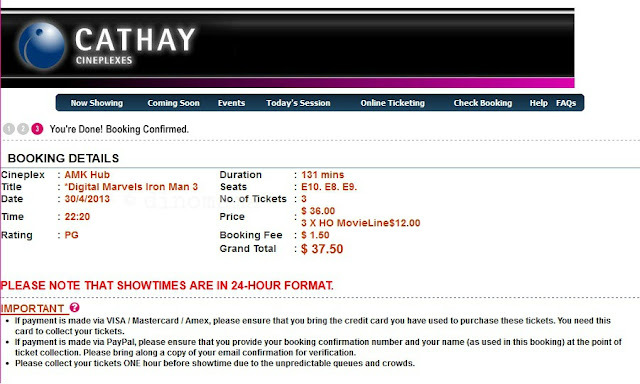 We wanted to watch Iron Man 3 and since its public holiday tomorrow we decided to go for late night movie. Well, technically speaking its a family outing, though we are facing a screen, a HUGE screen in this case. And we had a blast of time at the movie! And DinoBoy could not contain his joy and excitement when he knows we are going for movie. He was particularly jumping up and down all the way to the theater. PS : In case you are wondering why I am still posting my blog, I'm a blogger and this is my work.